This object is currently on display in room Outside. There are 2 other images of this object. See our image rights statement. 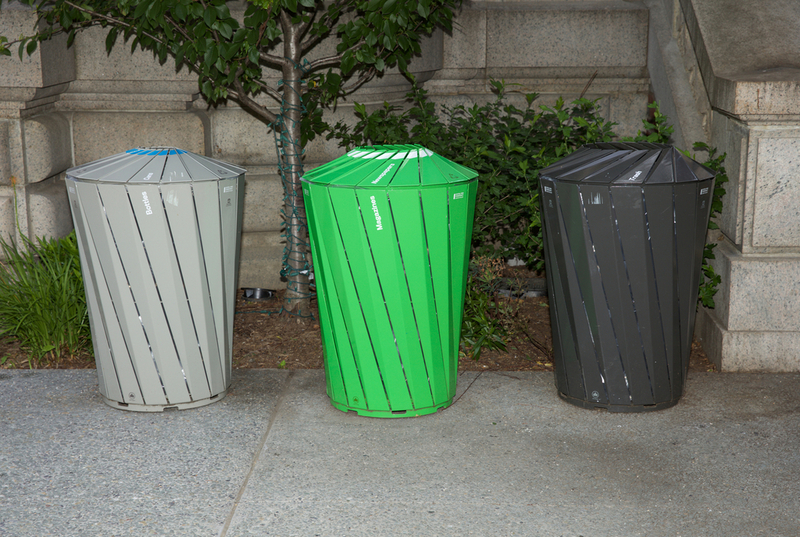 This is a Central Park Conservancy Waste and Recycling Receptacle System. It was manufactured by Landscape Forms. It is dated 2014. Its medium is polyester powder-coated aluminum, cast aluminum, molded polyethylene (liner). It is credited Courtesy of Landscape Forms.